The Internet is arguably the greatest invention in the history of man. Never in our known history has man had access to such a broad range of diverse information from all over the world at the tips of his fingers. Many forget that the Internet has only really been commercialized in the west since the early 1990’s and its spread across the world hasn’t even come close to peaking yet. The Internet is undoubtedly giving rise to the Age of Information as people become more awake to what’s really going on in the world. A multitude of information is now accessible if one knows where to look. People can now learn new skills or hear many different perspectives of the truth in mere minutes. The Internet is not only giving rise to an open access of information, but communication is almost instantaneous all over the world. It is paramount that the Internet remain an open decentralized system in which everyone can freely add and operate if this paradigm shift is to continue. It feeds almost all other shifts. Thanks solely to the Internet, the rise in independent journalism has taken off. Independent media has become an increasingly popular choice for those wishing to stay truly informed, especially younger generations. People are continually switching off cable news (cable TV all together), and instead resorting to online sources. 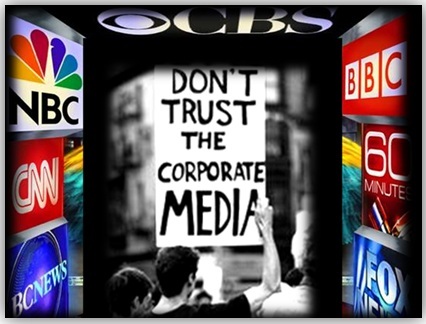 While mainstream news is still the number one source of current world events for the masses, the tide is slowly changing as people are awakening to the fact that corporate sponsored media is mostly propaganda and half-truths at best. War is becoming much harder to justify as independent journalists have shined the light on what the powers that be never wanted anyone to see. A prime example is the conflict in Syria in which the establishment, despite the lack of popular support, so desperately wanted to take control of the country, that when the rebels they were funding used chemical weapons, it was then blamed on the Assad government to protect their investment and design. Thanks to independent journalists, the end goal of overthrowing Assad has so far been averted, and it is now largely acknowledged that the U.S. was in bed with the rebel groups and it was the rebels who used the chemical weapons. This new faction of journalism will give peace a legitimate chance as all dirty laundry is now being aired and corrupt alliances exposed. This in turn has allowed many people to deprogram from the countless media they have taken in over the years and see the world through a clearer lens in which the truth is more evident. Though it will never be broadcast on mainstream news, the real threat of a U.S. dollar collapse as the world reserve currency is very real. The paradigm of central bank controlled economies that can issue credit and zero percent interest rates through nearly unlimited printing of money backed by nothing is an illusion that is beginning to break down. It’s not just the U.S. dollar that’s under threat, but many other central currencies such as the Euro and Yen. Massive equity bubbles are being blown up by this cheap credit along with massive debt that will be nearly impossible to pay back with the current economies in which only the very elite benefit. Many countries are waking up to the fact that, like all other bubbles, these bubbles will burst and they are beginning to break away from the dollar. Examples include the buildup of a new central bank in the emerging economy of the BRICS group, the countless countries passing trade agreements in which bypassing the U.S. dollar (including agreements in oil), and the persistent selling of treasury stocks by the Chinese government who quite often are the last resort buyer of U.S. debt. Not only has there been a shift in the pecking order of fiat paper currencies, but decentralized crypto-currencies like Bitcoin are threatening the very system of fiat money and the centralized control a select few elite have on that system through central banks. This would shift power worldwide. A Peer-to-Peer (P20) Economy is a decentralized model whereby two individuals interact to buy or sell goods and services directly with each other, without intermediation by a third-party, or without the use of a company or business. We see this being used by companies like Air BnB, Uber, Craigslist, Sidecar, and Dogvacay among others. Often referred to as a sharing economy, there is no centralized control of power, allowing people to more directly profit from their goods/services rather than pay unnecessary middlemen along the way. This is a trend that is sure to grow as technology makes it easier for people to make it on their own and allows for people to own their means of production and finished goods, instead of just being paid in the production process. The peer-to-peer economy is also possible through the abundance of goods already out there, allowing for goods to be shared and recycled rather than thrown away and reproduced. Not only is the peer-to-peer economy growing, but many young people are ditching the career 9-5 jobs and branching off into independent careers or job hopping. The top down business model in economics has now found a legitimate system in which a decentralized bottom up approach gives the power back to the people. The shift towards renewable energy is a forgone conclusion as renewable energy is the way of the future. In fact, the shift looks to be happening faster than people realize. According to the Global Energy Initiative, “Numerous scenarios projected levels of renewable energy for 2020 that already were surpassed by 2010.” The IEA states that, “In 2012, the world relied on renewable sources for around 13.2% of its total primary energy supply, and in 2013 renewables accounted for almost 22% of global electricity generation.” With increased technological capabilities along with ever-growing concern over the state of the environment, the world is beginning to not only shift towards renewables, but the power over energy supplies and grids is decentralizing. For example, home solar panels or the new Tesla Powerwall, would enable people to access their own energy directly from the sun without going through middlemen. Another example is a local city like Burlington, VT being the first city in the U.S. to use 100% renewable energy; even whole countries like Paraguay, Iceland and Norway being 100% renewable. Cheap localized energy is on the horizon along with the very real possibility Nikola Tesla once envisioned, which is a world of free energy. 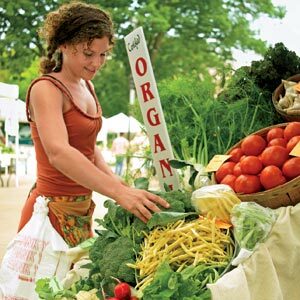 The reemergence of organic food is not only on the rise, but the use of farmers markets and locally grown food is on the rise as well. According to the Non GMO project, “In more than 60 countries around the world, including Australia, Japan, and all of the countries in the European Union, there are significant restrictions or outright bans on the production and sale of GMOs.” The rise is so strong that according to the Organic Trade Association, “Supply shortages [of organics] are one of the greatest challenges facing the industry today. Despite continued growth in production, handlers are not able to keep up with demand.” Thanks in large part to the Internet and non-corporate sponsored research, people are beginning to understand the importance behind knowing exactly what’s in the food one consumes and how it directly correlates to health. This has put mounting pressure on food businesses to adapt. 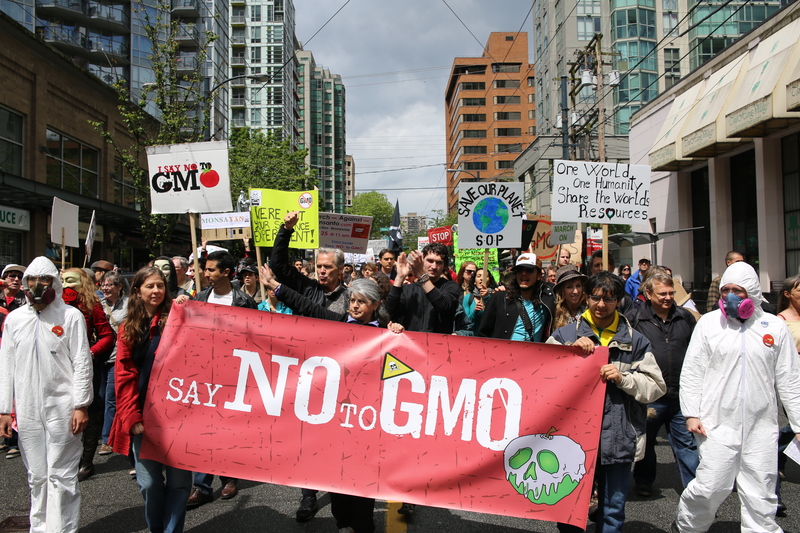 The signs are already evident as Chipotle sees their profits increase while operating completely Non-GMO, while sales giants such as McDonalds see profits continue to decrease amidst health concerns over their food. Many are beginning to truly care what goes into their body and the rise of localized non-organic food in this country is a direct result of this health-conscious shift. As Gandhi famously said, “The world has enough for every man’s needs, but not for every man’s greed.” People are finally awaking to the fact that there is enough to go around, just not with the current systems in place. No one is saying there is enough for everyone to live at current western consumption rates, however with adoption of renewable energy, new forms of decentralized government and economics, and the increase in the usage of technological capabilities, there is more than enough for everyone in the world to live happily. For example, the world produces enough food for 10 billion people, yet many go starving as a result of faulty systems of distribution. Another example is water; there is more than enough water on the planet, but it’s the economic systems that get in the way of technology. The notion of scarcity has long haunted the systems of government and economics, but now a new paradigm of abundance is beginning to take root in the minds of people. The Venus project is a prime example of an alternative resource based economy in which sustainability and resource supply are taken into account. A world of abundance with zero emission is no longer just a pipe dream, but could very well become a reality as people think in terms of abundance. As one can see, the world is very much in the early stages of a shift in consciousness and design. These shifts are leading to a growing decentralization movement in which the power controls of society are taken from the few and given to the many. Obviously, there is a very strong force at play that is fighting against this paradigm shift. This force is fighting for centralization of power in almost all facets of life. There can be no doubt of the presence of this resistance when one examines the ever-increasing wealth and power gap that is out of control in this country. The actions taken by these elite organizations are getting more radical and desperate by the day. With all that being said, the global paradigm shift has one advantage that I believe will be the game changer, and that’s the will of the people. This is not just the people of a single country, but internationally, as united global movements are happening simultaneously all over the world around central causes. So wake-up and participate, for we are in the early stages of a revolutionary paradigm shift in the consciousness of the masses that can truly change society for the better. 10 billion people? That thought should make any human sick and puke as that population would absorb nearly all natural land and resources making natural environments cesspools. Why on earth would humans want that many people on earth, especially humans with no will or determination to discover new knowledge? Many humans that exist today simply are not required and actually are degenerative. Human populations far below carrying capacity are required if humans expect to exist on earth for another 1000 years. Knowledge and technology are readily accessible and available with more to come that allow humans to readily solve future issues and accomodate earth. However, humans that lack the will and determination, who just want to exist with belief, greed, self entitlement, and ‘their own’ people are not required. A paradigm shift of society is required to induce challenge where humans get weeded out. All humans are not equal, equal humans are not free. What about God? What do you think God thinks about all of these things going on? All of these problems can be controlled by simply listening to our Benevolent God. Simply go to him for guidance, and just stop ignoring ..that Great Force of all nature and of all existence. Even though there was some dubious assumptions, I liked your article up until the last paradigm shift. Connecting to people all over the world has caused me to realize our US constitution and BIll of rights are more important than ever. One third of all people are Muslim and they live by Sharia Law. I have no will to live like that nor will I ever accept Sharia Law. You missed the real paradigm shift that is underway and its Nationalism. Brexiters did not want to be dictated to by Belgium and White deplorables in the US don’t want to be socialized. I like my freedom just the way it is thank you. The shift is to hunker down not spread out. So while your paradigm shifts seem quite rosy I doubt this will be our reality. We’ve known for 50 years that we needed to change course or our resources would be deleted. Well now its too late and no amount of paradigm shifts or innovations will change that fact. Finding this article (as well as others like it) is part of my own effort toward a personal paradigm shift. I am lifting my veil of futilism and despair. By watching Ted Talks and searching the “sub-basements” of Reuters and even Washington Post for articles on positive advancements in regard to Climate Change (they exist!! ), I am educating myself in facts. As an American, I will stop acting like Climate Change is taboo. It is time to look at things realistically, but with optimism. Thanks for the hopeful article. Depoliticize the article away from left-right narratives to make it more effective. You speak from an old paradigm. Embrace the new paradigm and erase the old, no longer valid distinctions.